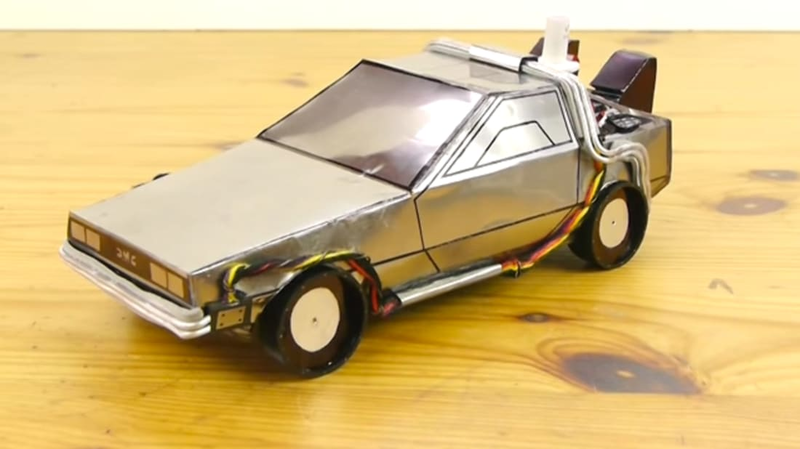 To celebrate the 30th anniversary of Back to the Future, lifehacker extraordinaire Dave Hax (who has videos on everything from how to draw a perfect circle to how to karate chop a watermelon) has made a nifty tutorial on how to build a DeLorean with Pepsi cans. The reason for that particular brand of cola is twofold: Marty McFly drinks Pepsi in the films, and the cans are made out of steel instead of aluminum, providing good raw materials for car-building. Everything else you need to trick out your time machine is probably already sitting in a junk drawer, craft corner, or refrigerator in your house, and Hax even provides templates for download. Marty and Doc aren’t included, but we know another pop culture reference that might be useful for building out a fully-realized beverage can world.